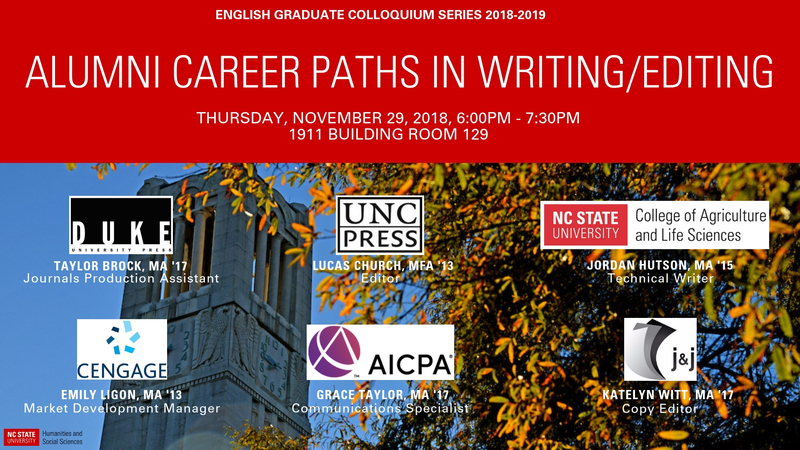 Everyone at NC State is welcome to come join us and our alumni in this colloquium panel! This will be the last colloquium for fall semester. Come attend and be open to discover something new!